This particular post – on information transparency and the true cost of things – has been rolling around in my head since February, when I attended Walmart’s annual sustainability meeting. Walmart has made some very deep commitments to changing its impact on both the environment and society – its three stated, measured, and Wall Street-reported goals are to be 100% driven by renewable energy, to create zero waste, and to “sell products that sustain people and the environment.” These are not small goals, and when a company as large as Walmart leans into achieving them (and reporting its progress to Wall St. each year), it’s worth finding out more. Turns out, there’s a lot going on, and potential for a lot more. During my trip to Walmart’s Silicon Valley outpost this past February, I met Doug McMillon, Walmart’s CEO. I also learned about the “long term capitalism” movement, a nascent but important idea championed by McMillon, among others. At its core, long term capitalism is attempting to center the value creation role of business from “shareholder profit” to “societal benefit.” As with anything worthy, it’s complex, fraught, and difficult to unpack. Just what is “societal benefit”? How do we measure it? Who decides? These questions are mostly open at this point. However, one thing is clear: Business as usual has created a mess of things. Most scientists believe our economic activity has produced an unsustainable tax on our global climate. We have to tune our economic engines toward sustainability. But how? I believe our industry – steeped in collecting, creating, and understanding data, can help. But more on that later. First, it turns out that Walmart – and many other large companies – are already working to find answers. Walmart is a massive platform, and when it tells its vast network of suppliers that it wants renewable energy, sustainable products, and zero waste in its supply chain, entire economic sectors are effected. I had no idea this was happening, and found it both laudable and worth celebrating – we all need to encourage more of this kind of behavior. Traditional costs include expenses like supplies, energy and packaging. But the net true cost considers issues such as waste-to-landfill, greenhouse gas emissions, economic mobility, worker safety and food safety. These are all examples of the effects production may have on the environment, in local communities, or on the people who grow and make what we sell. We believe a business should strive for not just the lowest prices, but the lowest true cost for all. Low prices benefit customers, but low true costs benefit everyone. To do this, we can’t sit on the sidelines until after a product is made. Walmart’s role is unique. We have a large presence in the world, and with that presence comes great opportunity to change how business is done. In addition to tackling social and environmental issues in our own operations, we need to actively engage in and reshape the systems in which we work. By doing the right thing, a business is setting itself up for a solid and successful future. And by focusing not just on price – but on “cost” as well – a business is tackling social and environmental sustainability at the root. That’s what you’ll see us lean into further this year and in the years ahead. At the February meeting, Brian Monahan, a friend, co-founder of NewCo, and leader in Walmart’s e-commerce division announced a new Walmart initiative. 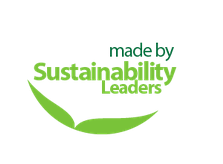 Called the Sustainability Leaders Shop, it’s a special area of the Walmart.com site featuring suppliers who had earned a badge which helps shoppers identify the vendor as a leader in sustainable practices in their given industry. The idea is simple but powerful: Walmart is helping shoppers identify and reward vendors with industry leading sustainability practices. Of course, this made me wonder if such a badge is truly valuable for anything more than bragging rights. I mean, won’t shoppers – especially Walmart shoppers, who come there to save money – simply purchase the cheapest brand, regardless of sustainability badges? That certainly seems likely. Until a market truly values sustainability over price, the lowest price will win. Walmart’s mission of “saving money, living better” has been a driver of the company’s culture for more than sixty years. Its DNA is all about price: The lowest price anywhere, all the time. Over the decades Walmart has earned a reputation as a cost extraction machine – and that reputation is in full conflict with the sustainability goals the company now espouses. But what would we have Walmart do? Nothing? It strikes me that Walmart has put a very large stake in the ground, and it’s up to the market to both celebrate that stake, and push to make it even more impactful. That’s at the heart of what NewCo is about – in particular our media arm, which will be launching over the next six months. The story of a giant company trying to change for the better is not only fascinating, it’s also urgent. As goes Walmart, it turns out, so goes most of the world’s grocery and retail businesses. And those businesses in turn drive a significant amount of our world’s economic practices. You’re used to reading about Google, Amazon, and Facebook on this site, and those of you who’ve made it this far must be wondering how on earth Walmart’s challenges relate to the things I usually cover. Well, it strikes me we’ve got a massive, and massively interesting, information problem on our hands. In short: What if we could engineer a platform that reported True Cost for everything Walmart sells? Put another way, what if every single product had not just a monetary price and possibly a Sustainability Leader badge, but also an inherent score based on “net true cost”? Wouldn’t that be cool? What might be the effects of such a system coming to fruition? For one, markets would have to compete far more on…factors unrelated to price. And vendors of products that have been made in third-world sweatshops, or in factories that over pollute, or vendors that support causes some consumers do not wish to support, would be called out in a far more transparent fashion. Refusal to participate in such a system would mean that vendors or merchants had something to hide, and so the system could be a major force for good in the global economy, forcing transparency and accountability into a system that has habitually hidden the process of how products are made, transported, marketed, and sold from the consumer. The world needs information transparency in consumer goods. There are many startups doing what might be considered point solutions in the space – The Honest Company in baby goods, Bos Creek for meats, Zero Footprint in HR, Conscious Box in subscription commerce. But there’s not liquidity of good information in the marketplace – and liquidity drives innovation and value creation (Google was built on the liquidity of link information around the web). If it was as easy to understand a product’s overall impact on the world as it is to understand its price in dollars, consumers would be moved to consider more than price when they made a purchase. Millennials, in particular, have shown a deep desire to support brands that have a net positive impact on the world. 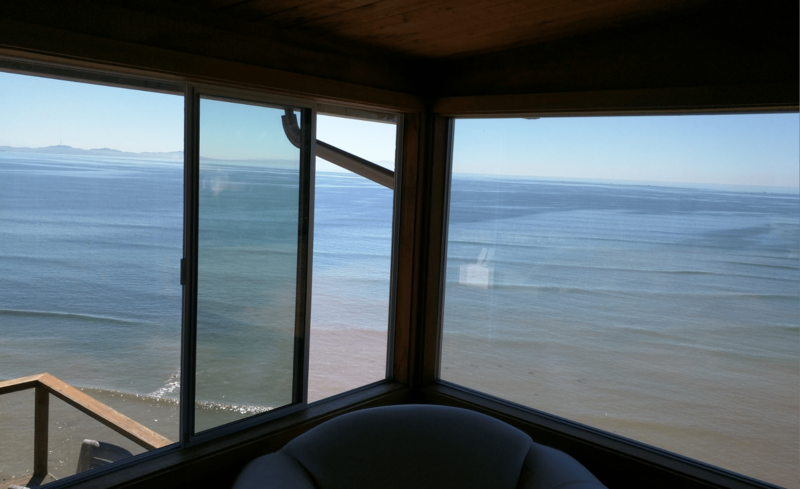 I often write speculatively here – and I suppose that’s what I’m doing right now. I don’t know how such a system might tip into existence, but I sense when large companies like Walmart start to talk about “net true cost” and set ambitious goals that can move markets, we’re close to such a tip. I’d love to hear from you about how we might get such a system implemented. I’m guessing any number of startups, academics, and BigCos are already working on the problem. The world needs a True Cost calculator – and gathering, cleansing, and delivering the data to power such a calculator is the kind of massive problem/opportunity that creates companies like Google and Facebook. It’s time to get this done.